MBIS is exchanging book marks with ‘Beaconhouse School System Defence Campus Karachi, Pakistan. By participating in the activity students are celebrating diversity & getting intercultural understanding. They show love to their school library. Right now students are in the planning stage of what will go on the book mark which they are presenting to their friend in Karachi. Students are coming up with good ideas, for e.g. a student who are from Korea, studying here said, “I am going to draw two flags of Korea & India because they share Independence day on the same day.” The other student said, “Cricket is bringing these two countries together, so I will draw a cricket kit”. Students are trying to connect their culture and at the same time researching cultures of other countries. They will be applying their design & creative skills to make their bookmarks. 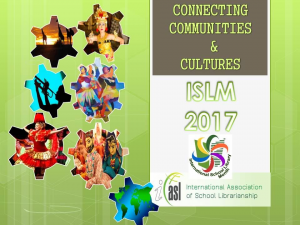 We as a school celebrating this special day on the 6th October 2017, where students are actually creating their book marks. In the next newsletter article you will get to see bookmarks made by your children and what they got in return from Karachi school. Please don’t miss it.